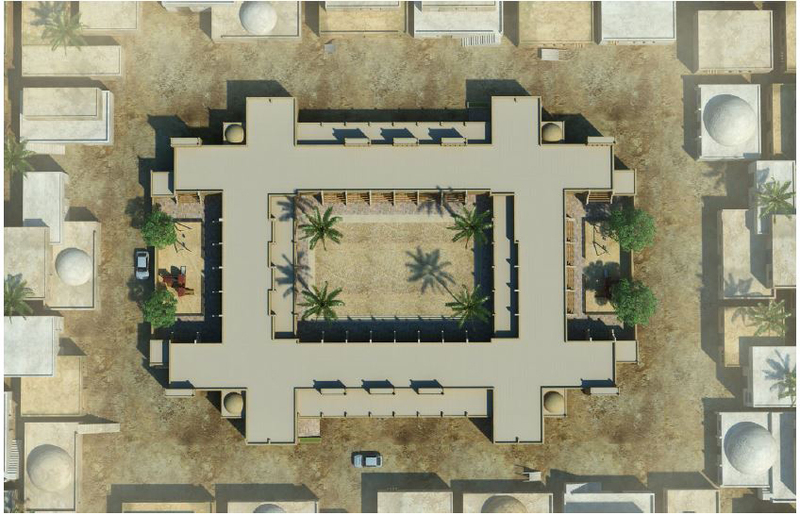 An architectural competition that was proposed by the General Authority of Educational Buildings (GAEB) that aimed to design a school prototype design for desert and remote areas in Egypt. 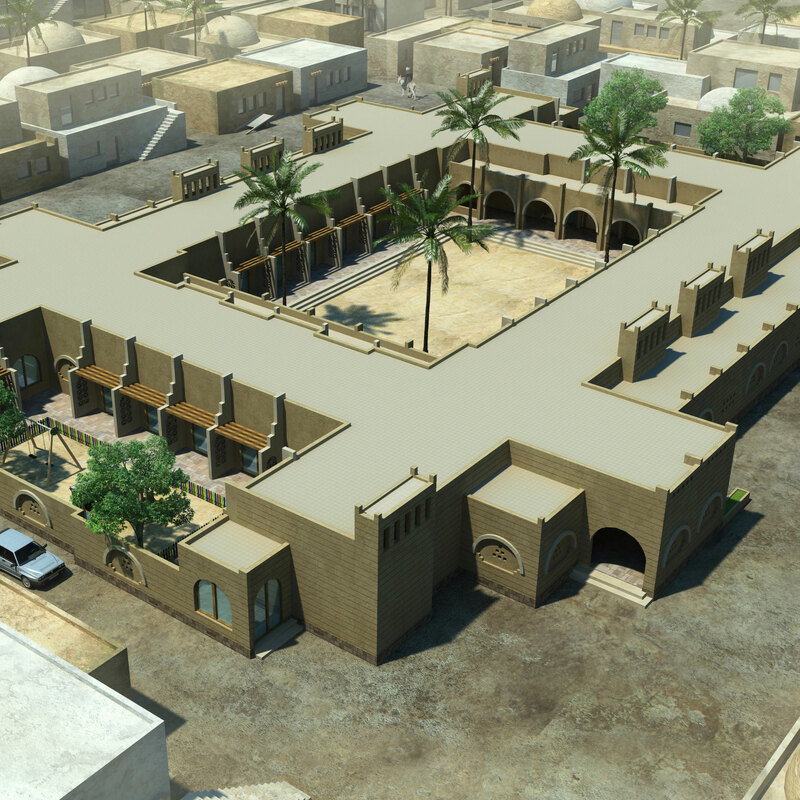 It was required to design an economic and sustainable school building. 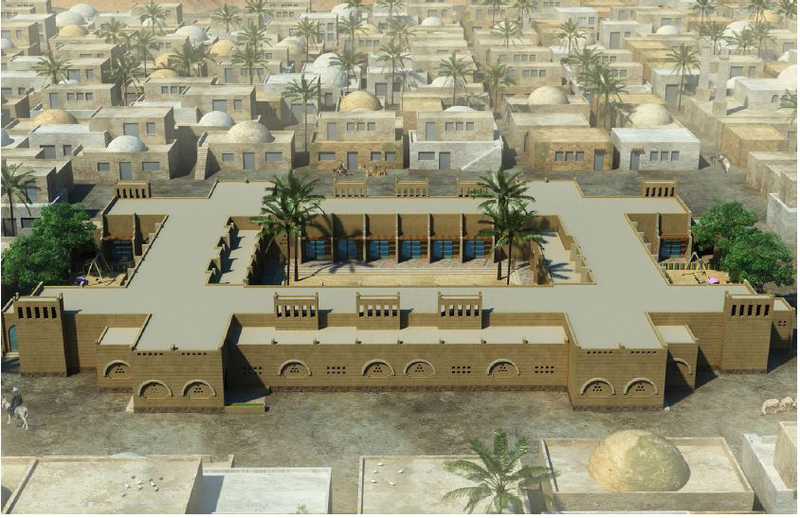 Design team has decided to follow the architectural style of Nubian and Upper Egypt villages with thick walls, narrow openings and wind catchers, and to use local materials and construction techniques. 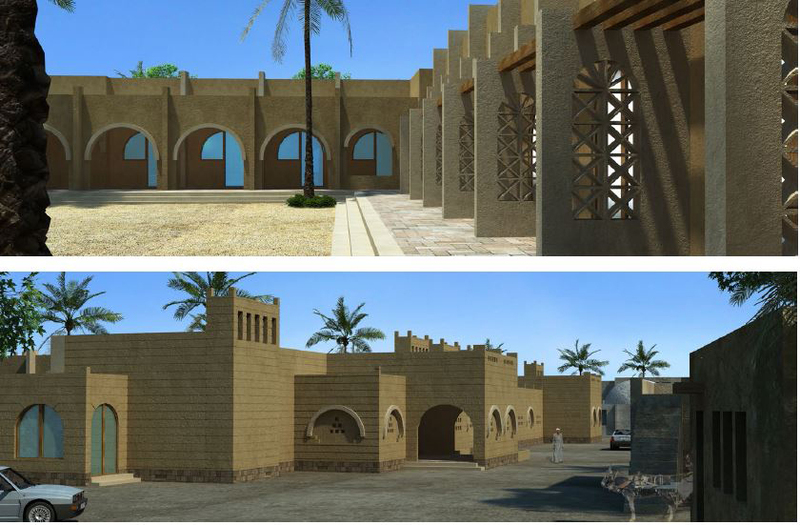 The proposed structure of the building was bearing walls and arches which is built with an on-site casted cement clay blocks and one way concrete slab. The structural module was a 3X5.5 meters width room which can form an administration room or a half of a classroom with middle large arch or a third or quarter of labs and multi-purpose hall. The school building was designed not as traditional school building (fence - building - court), but in this school we built the school building direct to the street without fences, and all classrooms were oriented inside to the inner courtyard with backside corridors. This concept of orientation has helped in integrating the school building with the village community. 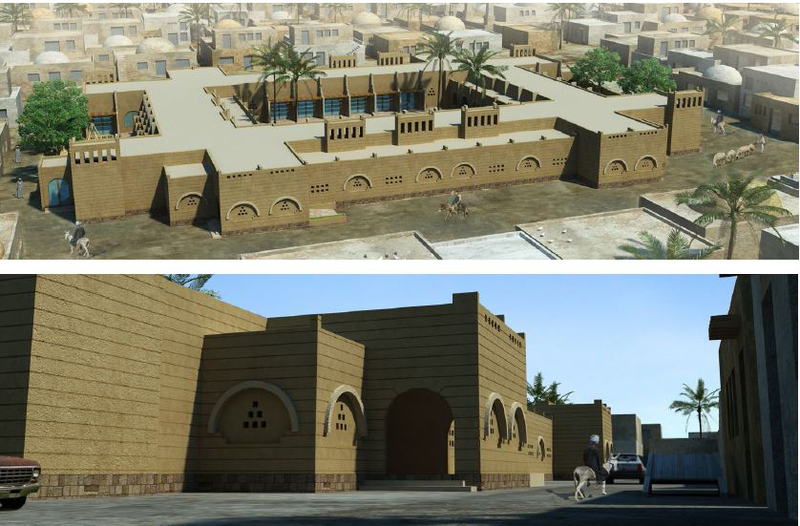 The supports of the 5.5 meter arches (Abutment) were extended outside the rooms in the courtyard to restrain the thrust action, working as a vertical sun breakers and an architectural elements holding traditional style ornaments. Thick walls, narrow openings, sun breakers, cross ventilation and wind catchers, all these solutions have been integrated together to create a sustainable, unique school in spectacular style. 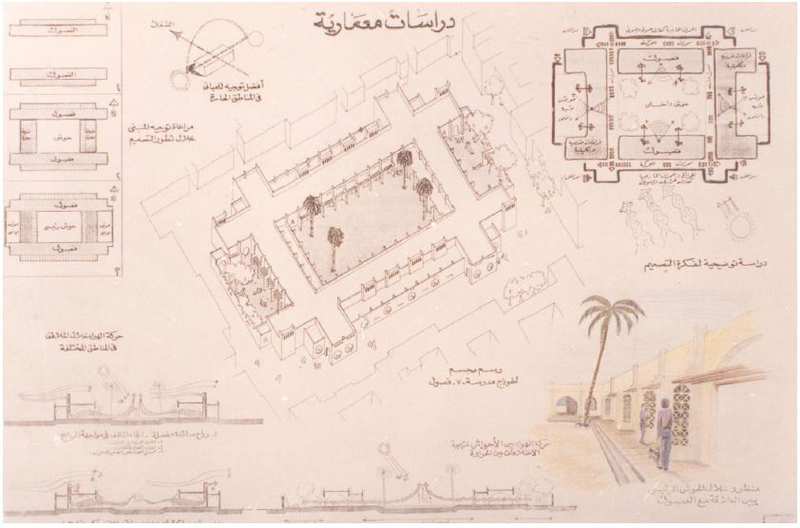 Proposed design was awarded the 2nd prize by (GAEB).